August 6, 2018: Kickstarter Fully Funded! The crystal Kingdom of Chalcedonia was once a beautiful place, under the rule of the Princess Rosalia, they lived happy peaceful lives. Until one day, monsters called Nightmares destroyed the kingdom. 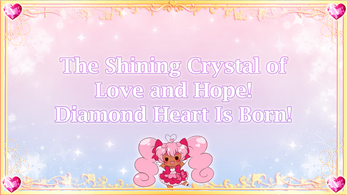 Princess Rosalia and her fairy knight Diana hid deep in the castle, praying that their last hope, the magical Rose Crystal Mirror would produce a miracle, and save their home, however, they were attacked by the leader of the Nightmare Agency, Druzy. Diana fought helplessly before finding herself transported Earth, but her Princess was no where to be seen. Unfortunately the nightmares began to attack this new world too. 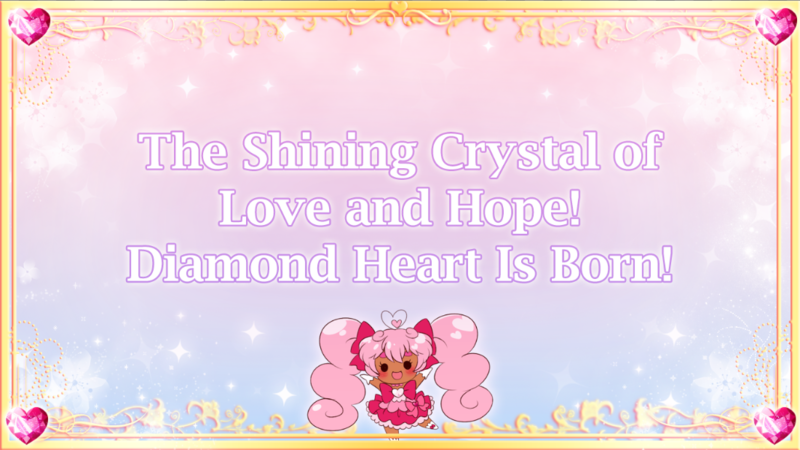 Valerie Amaranth, an ordinary 17 year old, has her world changed forever when she recieves the powers of the Legendary Crystal Warrior Diamond Heart. Now with the help of Diana, she must find her allies, defeat the Nightmares, and rescue the missing princess Rosalia. Please note that all assets such as artwork and sounds are yet to be finalized. This demo is meant to give you an idea of the full game, but doesn't fully represent the final product in mind. This is a demo if you want to pay consider it a donation toward the development of the real full game. Update: 07/01/2018- Episode 7 Included. Quick question: How much is gonna be the full game? With the full content and all? So I can start putting some money aside to buy it! Voice acting is still not implemented? it is not. The voice acting will be implemented in the final game! I've heard the voice acting samples on the Characters page and I think the actors did a decent job with what they were given, and I've watched the VA video previews on your Patreon page and it was alright, though I think it would be nice if the characters actually spoke the dialogue. But all in all, it makes me really anticipated for what the final build brings. Good work. I feel like im the magical girl... I LOVE IT!!! I love it!! I rlly want to know how this is gonna end! OMG!!!!! I don't even know what to say but I LOVED IT!! Not too often find female characters of a different complexion but haven't tried game yet. 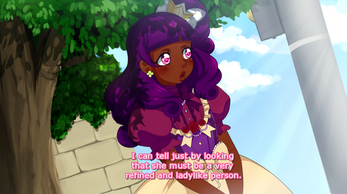 This is really nice, but it seems cliche and or rushed in some parts like how Clover joined them in her episode. How they defeat the bad guys is sorta weird too, it's a pattern of :bad guy comes in, injures the current crystal warriors, new character comes in, transforms, defeats bad guy almost single-handedly. Despite all of these, I really like it and am looking forward for more. You kindad described how Sailor Moon's episodes filed in the new heroes. This demo was really good. I cannot wait to play the full game. When is it out? I really love this game! I love the characters and the music. When the demo ended, I was about to cry. I wanted so much to continue the game! Is there a release date? and will the full game will be paid? there is not a full release date yet! It will have a full and a paid version when it is complete :^) thank you and im glad you enjoyed it! Currently on chapter FOUR, wow. This is a spectacular demo and I'm so glad to be getting the short version of the chapters so, when I buy this, I can properly appreciate the finished product! ...Serious kudos for the length of this demo, though, I'm on episode three and just. Wow. Okay. So I like this, particularly the characters that are developing. If the author is interested in constructive criticism, I would suggest that she ditch the 'oversleeping' cliche, or at least establish her oversleeping as out of character. I really do like the art style and the different characters, especially Zacharie and Liam. Nice demo. Very long as for demo of visual novel. Interesting, funny. colorful story :) with nice characters, and a lot plot twists and meaningful choices. Good artstyle. All characters are good looking and they have their own stories, personalities and role. Is this going to have voice acting in the near future? loved the demo it's so Cute . made me think of Sailor moon in a way . I had played another magical girl VN, and was looking for others when this popped up. I love the character diversity, and there were quite a few hilarious moments as well. Definitely looking forward to the full version! I also made a let's play, and plan to cover the rest of the game in the near future. Hope this helps! The racial diversity in this game was amazing! The story is very interesting and I feel the execution is going well. Comedy is flawless, there are many points in this VN that will have you screaming. I must thank the GD for making such a beautiful black female protagonist. You are showing girls who look like Valerie and love anime are being represented and that's what I love the most. this post made me smile a lot lol. i watched the video too and I liked it a lot, im glad you enjoyed the demo so much! OMG this is so freaking cute~ I'm already shipping people up! The best visual novel game I have ever played!! I can't wait for the full version~! i cant download this, how can i download it? This game is great, I hope a full release happens soon. I love the outfits , the magical girl plotline and the awesome chracters of color, good job. WE NEED MORE AHHHH<333 amazing work so far! 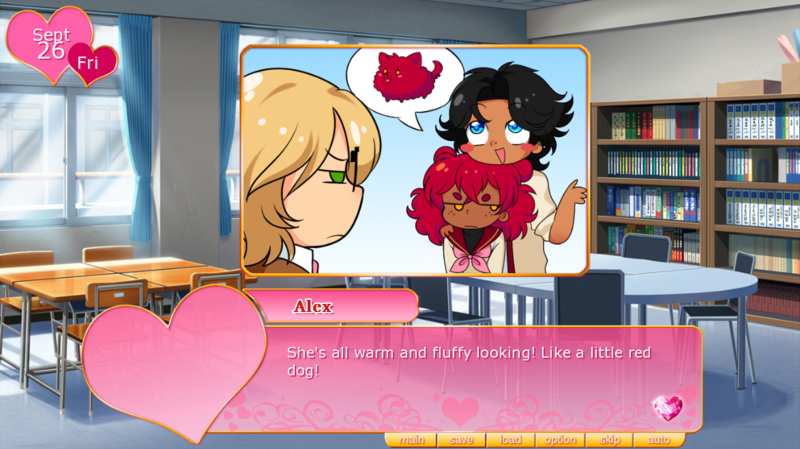 Possibly my favorite otome game I have ever played! The art is already so beautiful and all the subtle character feature and backgrounds! My word! 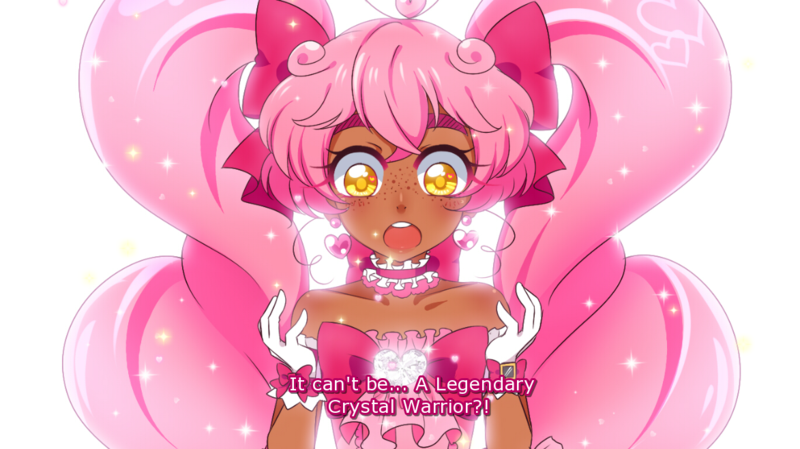 I can't wait until the full release, It's so wonderful, magical girl game? Yes please.